Silvia Di Falco was born in Ragusa. She began her studies with Valentina Reuszkaia and graduated in 2004 with highest honors, under the guidance of Sofia Pina at the Istitute Musicale “Vincenzo Bellini” of Catania. In 2007 she earned a Level II Academic specialization at the Conservatorio “G.B. Martini” in Bologna under the guidance of the teacher Donatella Debolini, presenting a thesis on “The servant of the eighteenth century Italian comic opera buffa” with the supervision of Professor Piero Mioli. After her studies, she is followed by the tenor William Matteuzzi and takes part in several master classes taught by internationally renowned master such as: Raina Kabajvanska, Luciana Serra, Elio Battaglia and Renato Francesconi. 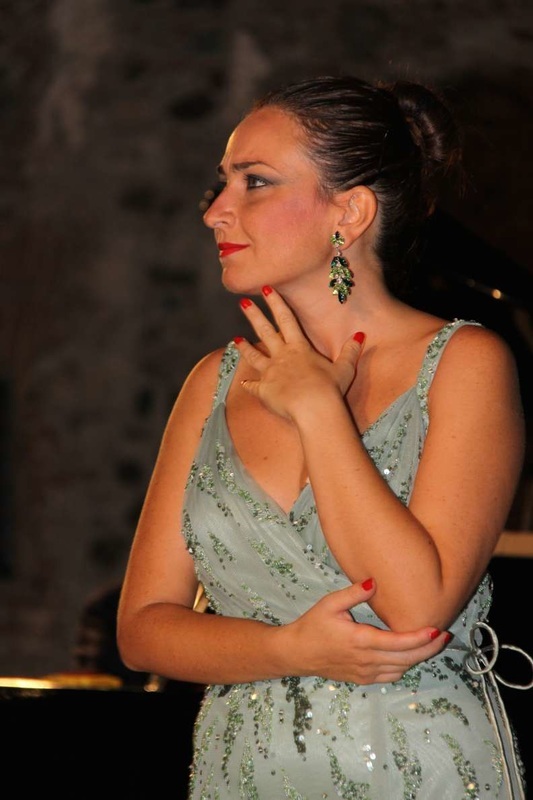 In February 2004 she has sung in Catania opera “Lo frate ‘nnamorato” of G.B. Pergolesi conducted by M°Cinzia Pennesi , in the role of “Vannella” receiving positive acclaim from critics. Performed in concert for important Italian musical associations, “Amici della Musica”, Lyric Circles and Foreign Italian Institutes. She tooks part in the Representations of the Sacred Drama in Vittoria performing the world premiere pieces by contemporary Italian composers. She sang on a tour in various theaters of America and more precisely in New Jersey, Florida & Panama (Teatro Nacional) She exhibited in Cairo (Egypt) and the Institute of Italian Culture in Warsaw (Poland) With Maestro Leo Nucci she increased her repertoire of Mozart & Donizetti’s “buffo” and also attended master-classes of M° Claudio Desderi delving into on Mozart repertoire. She debuted in the role of Adina in the opera “L’elisir d’amore” at the Theatre dell’Opera di Milano conducted by M°Pierangelo Gelmini. In March 2013 she sang at the Auditorium of Sant Stefano al Ponte Vecchio of Florence in “Gianni Schicchi” in the role of Lauretta with the Orchestra da Camera Fiorentina conducted by M° Giuseppe Lanzetta and the direction of M° Rolando Panerai and Vivien Hewitt. She sang at the Theater Viotti in Fontanetto Po, in the role Violetta in “La Traviata” and “Il Barbiere di Siviglia” in the role of Rosina.